The five-seat Chevrolet Bolt EV has a certified 383-kilometre range on a full battery charge. Canadian versions of the Chevrolet Bolt EV will be initially available only in three provinces, as General Motors seeks to stoke demand by taking advantage of government rebates. Participating Chevrolet dealers in B.C., Quebec and Ontario are now taking orders for the 2017 Bolt, GM Canada spokesman George Saratlic said today. The first deliveries to customers are expected in early 2017. 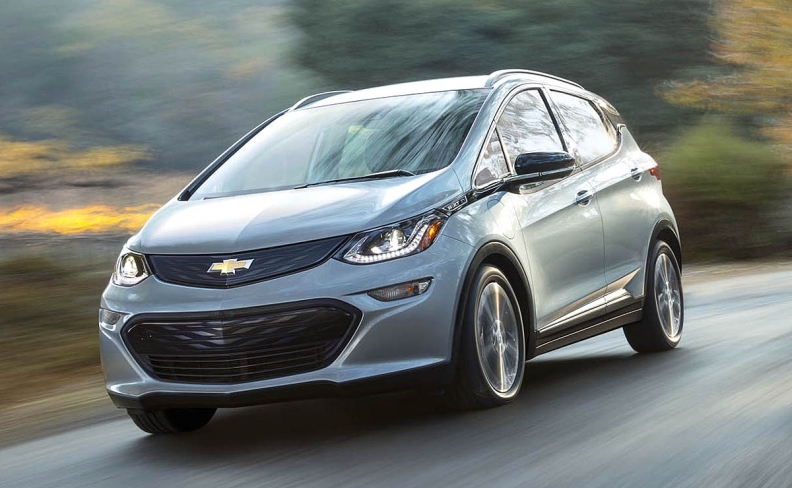 Within 12 months of the retail launch, the Bolt EV will be available in half of the Chevrolet dealerships nationwide. However, the availability of the car will be concentrated at dealerships in urban centres and ones that already sell the Chevy Volt plug-in hybrid. In addition to their population density, such areas tend to have an infrastructure that can support electric vehicles. Customers can find the Bolt EV dealer closest to them by punching in their postal code on GM Canada’s website. The base price is $44,395, including shipping. General Motors claims that price can be as low as $33,034, including shipping, in Ontario, for example, if buyers take advantage of provincial pre-tax incentives totalling $11,361. Quebec and B.C. are the only other provinces to offer incentives. There are no federal incentives in Canada. The automaker says the Bolt EV’s electric range is an estimated 383 kilometres on a full battery charge, more than enough to get someone from London to Toronto (195 kms) or Montreal to Quebec City (256 kms). By comparison, a 2016 Nissan Leaf electric car gets about one-third the range — 133 kilometres according Nissan’s website — and has a base price of $32,698. It's also eligible for government rebates. The Bolt is considered a subcompact car in Canada, where several gasoline-powered cars in that category can be purchased for less than $15,000, before taxes and fees.